August 18th to the 21st, the Park will be hosting presentations, telescopes, activities and viewing the partial solar eclipse http://wtop.com/science/2017/03/complete-guide-2017-solar-eclipse/ ! If the weather cooperates there will be telescopes available for Festival goers to see our star, the Sun, during selected days - especially on the 21st for the partial solar eclipse - with properly filtered telescopes. For your own viewing of the eclipse it is ESSENTIAL for your eye safety that you have the proper eclipse viewing glasses http://wtop.com/science/2017/08/hangover-shades-wont-cut-eclipse-safer-options/ . Failure to do so will result in permanent eye damage. WTOP will have a special eclipse story on August 13th with the latest listings for solar eclipse viewing events in our area as well as other eclipse tidbits. Due to light pollution 80% of Americans cannot see the Milky Way Galaxy, our home galaxy. At SNP, especially this time of year, the Milky Way is a celestial splendor that can be seen sprawling across the sky from the South to the North. Many guests to SNP have never seen it and some are moved to tears when they view the milky band for the first time. The Moon will be out of the sky for this year’s Festival so the Milky Way will be at its best. I hope you will join the SNP staff and I at the Night Sky Festival. The Park’s astronomy events continue throughout the season http://www.goshenandoah.com/activities-events/astronomy if you get the astronomy bug during the Festival. If you already have the astronomy bug then you will want to be on the look out for the Perseid Meteor Shower http://earthsky.org/astronomy-essentials/everything-you-need-to-know-perseid-meteor-shower which is currently ramping up to the peak of the shower on the mornings of August 11-13. The Moon will be bright and interfere with the number of Perseids we can this year but it is well worth looking anyway. 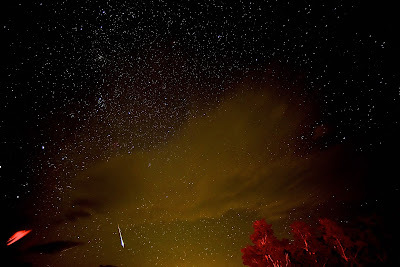 The Perseids can produce bright meteors and SNP is the perfect place in our area to view them. 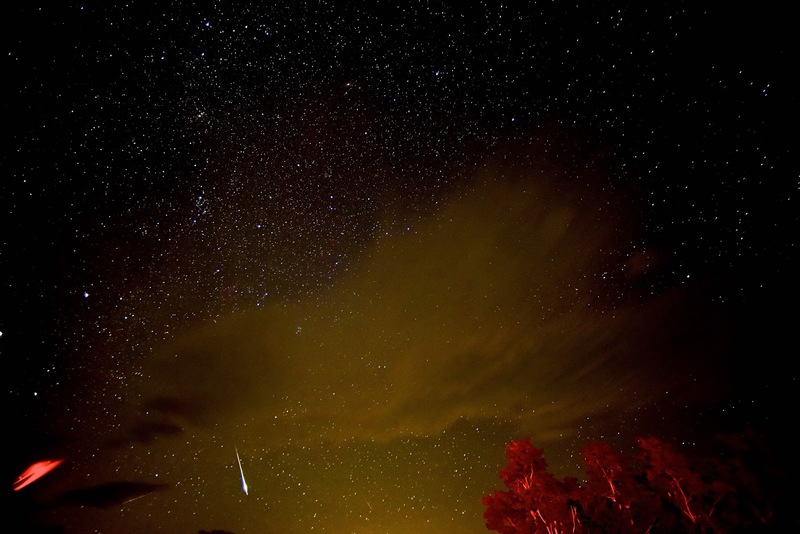 Even living in the suburbs allows skywatchers to see the brighter meteors. So here’s to CLEAR skies for our Festival, Shower and Eclipse!